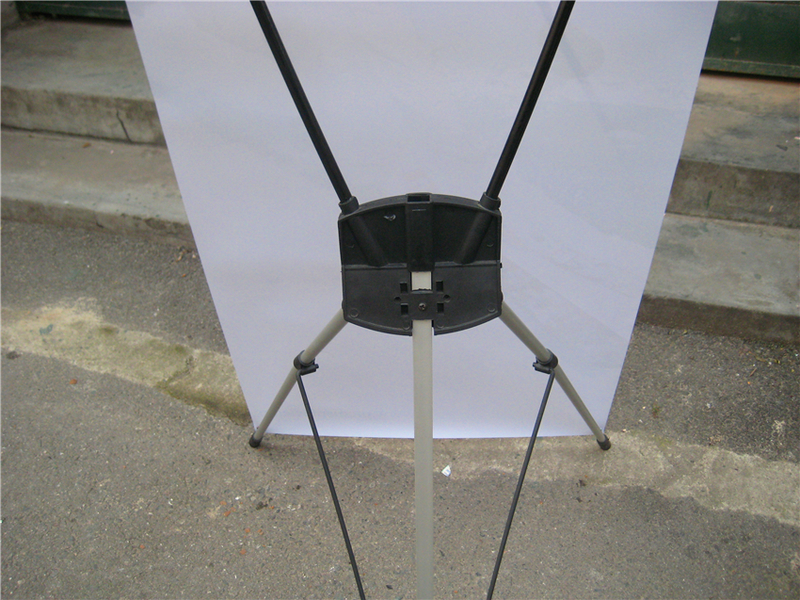 It is with aluminum pole .especially designed for campaigns. It is easy to replace image for new campaigns. 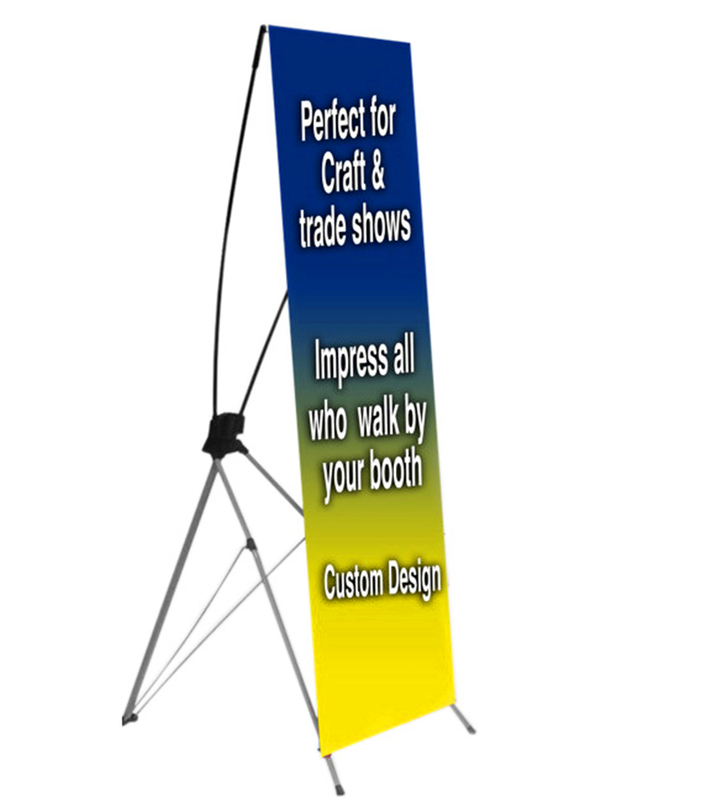 Tired of lugging a bulky and expensive advertising display with a complicated and labor-intensive assembly to each event you attend? 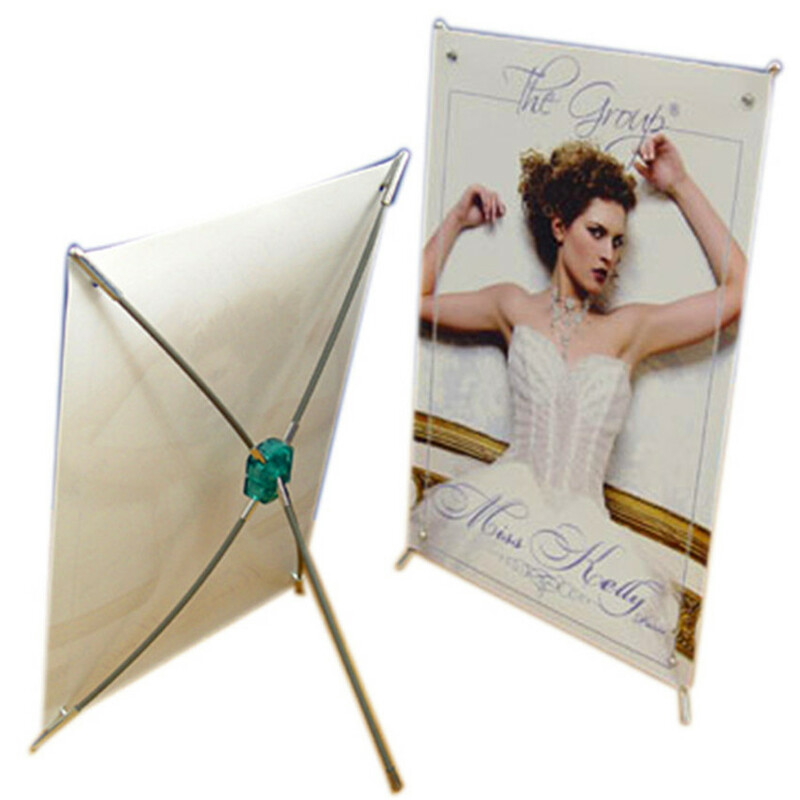 Aluminum x frame is a lightweight, portable and easy to set up advertising display that will not exceed your budget. 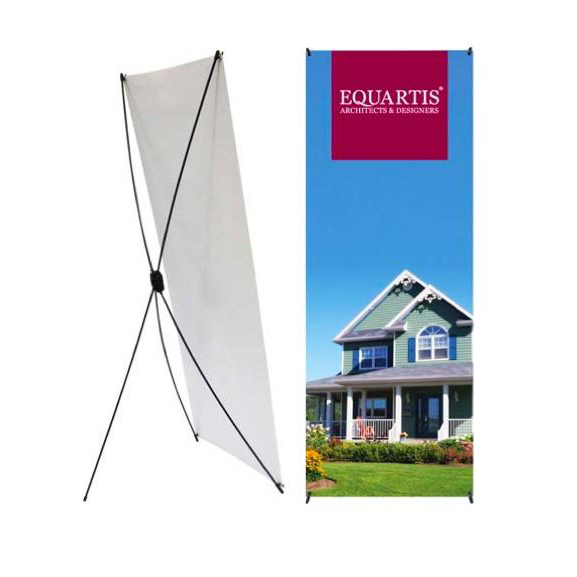 Made of a sturdy aluminum frame, the legs of the stand extend from a center tripod and the high quality printed banner connects to hooks on the unit for instant advertising!